Singapore's Changi Airport has been named the "World's Best Airport" for a fifth consecutive year, by research firm SkyTrax. The SkyTrax World Airport Survey describes itself as a quality benchmark for the world airport industry. It is independent of any airport control or input and undertakes a private survey assessing customer service and facilities across 550 airports. The award is based on 13.82 million airport survey questionnaires conducted between July 2016 and February 2017. The firm said it evaluates a range of benchmarks from check-in, arrivals, transfers, shopping, security and immigration through to departure at the gate. According to International Air Transport Association (IATA), the number of passenger trips is likely to double over the next 20 years from 2014, driven largely in part by improving living standards and the decrease in travel costs. This a report carried out by Expedia and the Airlines Reporting Corporation in 2016, also found that the prices for round trip economy class tickets have fallen between 4 - 7% globally between 2015 to 2016 and the trend is likely to persist with increasing airline capacity and competition. Increasing passenger trips will put airports around the world to the test. Airports will need to innovate and do more with less, to keep service levels high without busting their budgets. 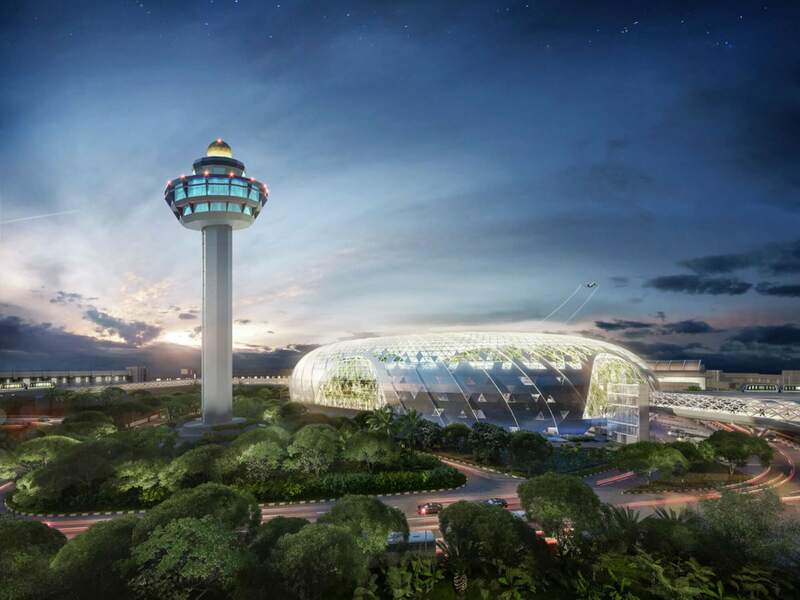 To stay ahead of the game, Changi Airport is set to transform its operations for the future, with a new S$50 million programme to drive innovation over the next five years. The Changi Airport Living Lab Programme was launched in January 2017, in partnership with the Singapore Economic Development Board (EDB). Mr Lee Seow Hiang, CEO of Changi Airport said, “Building innovation today is critical to transforming our business and operations for the future." The programme will see Changi Airport collaborating with innovation-driven companies and start ups, to develop and demonstrate new technology solutions, in a live airport environment. Internet of Things (IoT) technologies that include sensors, robotics and data analytics will feature heavily in the Living Lab and Changi Airport has already started working with partners to test solutions in some of these areas to achieve a more seamless and positive experience for passengers and visitors to the airport. Targeting specific areas of improvement, the program will provide the platform to create the next generation of solutions for Airport management. Sensors combined with analytics provides opportunities to enable a more accurate and real time perspective of airport operations. As manpower resources are scarce, a combination of robotics and analytics can help better optimize operational processes and power smarter decision making. This will empower the airport workforce to operate at higher efficiency and productivity levels. For example, Changi Airport has been running prototype trials for autonomous cleaning robots to clean the vast tracts of floors in the airport terminals. It is also exploring the use of automated guided vehicles to ferry passengers between terminals. In addition, smart controls can help better manage infrastructure resources, such as energy and water . Data collected on the airport's assets will also allow airports to analyse and understand how predictive maintenance can be carried out, such that impact of downtime is minimized on staff and travelers. The airport is a treasure trove of data from travelers, adding analytics into the mix, the airport is looking to uncover deeper insights into travelers’ habits and preferences and is looking to utilize the insights to strengthen the airport’s lifestyle product offerings. An example is taxi queue analytics, whereby sensors are used to determine the number of people in taxi queues and the estimated wait time. This would allow the airport to provide travelers with better advice on ground transport options during peak periods, as well as alert taxi drivers about impending demand for taxis at the airport. Stronger safety and security standards are often inversely correlated with passenger experience. With the use of non-intrusive technologies, Changi Airport aims to greatly enhance the passenger experience and reduce the stress of undergoing security clearance. Our team will be hosting the 2017 editions of Asia IoT Business Platform in Thailand (24-25 Jul), Malaysia (27-28 Jul), Philippines (1-2 Aug) and Indonesia (7-8 Aug) to discuss benefits and challenges of adopting Internet of Things locally.